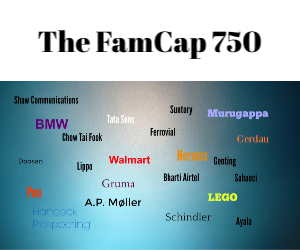 Family Capital is conducting a survey to find the top advisors in the world of family offices. We are looking to find the top financiers, lawyers, professional service advisors, academics, concierge supplies, and other professionals who provide services to single-family office across the world. As such, we are canvassing our community of readers to ask them who they rate. We are asking both the family office community and their advisors for recommendations of who they think are the top advisors. All submissions are confidential – there is no disclosure to Family Capital of who is making the recommendation. The survey of the Top Advisors will be published in March.